We're going to grab the bull by the horns and admit that our clue for January|February's Where in Texas? led some readers down the wrong road. Sure, San Angelo State Park is a home to the state's official longhorn herd, but the herd also has a home at Fort Griffin State Historic Site, which is what many readers guessed. Reader Linda Ashton correctly guessed San Angelo and noted that she "loves this park for equestrian trail riding." 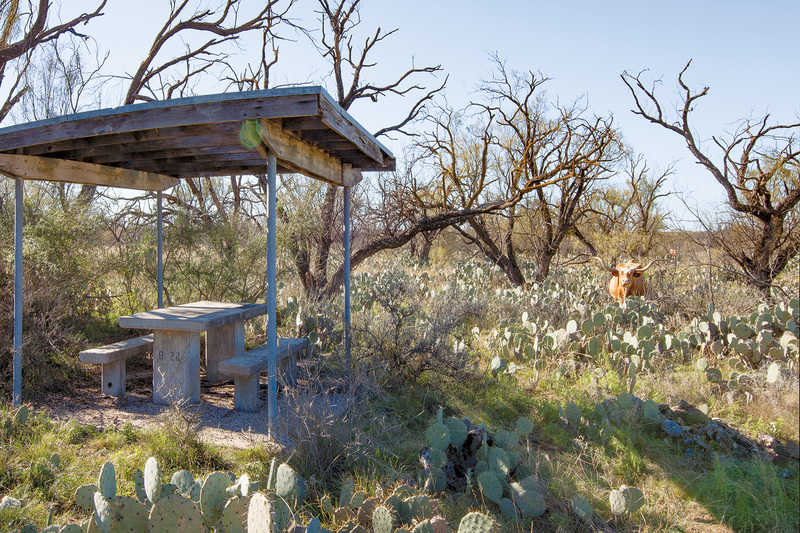 Reader Michael Spaeth pointed out that the area pictured, known as Lower Ghost Camp, has several abandoned picnic shelters scattered about.